Elijah Holyfield, 5’11” 204 lbs. The Senior from Woodward Academy rushed 18 times for 183 yards and 4 TDs. This performance is all the more impressive as this was against a tough St. Pius team that bettered Woodward in the playoffs one year ago. This tight game was iced by Holyfield’s two Touchdowns on the road in overtime as Woodward prevailed 36-29. Elijah was coming off of an earlier injury and sat out week one as well as coming off an announcement earlier in the day to commit to UGA next fall. As they say, “Big time players play big in big games”. 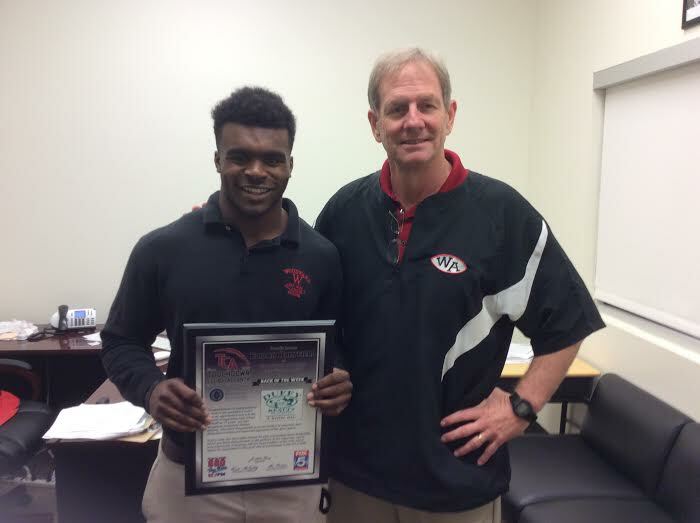 For this performance, we congratulate our Back of the Week, Elijah Holyfield.